I have written a few Wanderlust Wishlists here on the blog-a-roo, and one place that constantly remains at the top of said lists is Italy. For as long as I can remember - this has been the one place I constantly dream of visiting. Italian is, by far, my favourite cuisine. The meats and cheeses, the pizza, the wine and the pasta! The more garlic the better - I say! I have never had a chance to visit Europe. I've travelled across (most of) Canada and the United States, and have visited the Dominican Republic, Cuba and Mexico - but never Europe. I'm not sure what's held me back. The Caribbean trips I've been on have been all-inclusive so maybe the thought of planning a budget and going overseas has been daunting? Either way - it's time for this to change! I have been going through some major changes in my life, both personally and professionally, and 2015 is definitely going to be a year of growth. I'm planning on breaking even more out of my comfort zone. I slowly started to in 2014, and will continue to do so in 2015. For example, I want to try a new restaurant every month. There are still so many restaurants I have yet to try here in the city, and even cuisines in general! I still haven't tried Indian food! Another goal is to travel more this year. As often as possible, in fact. I want to push myself, and my boundaries this year. I am a huge fan of travelling solo and am starting to think that is exactly what I should do for my birthday. My birthday is at the end of October (October 25th, to be exact), and I'm beginning to brainstorm some plans to finally visit Italy! I'm hoping to go over for about a week and explore the different regions - most specifically, Cinque Terre. "Cinque Terre is the name of a district that encompasses five glorious towns, where small houses are surrounded by lush nature. 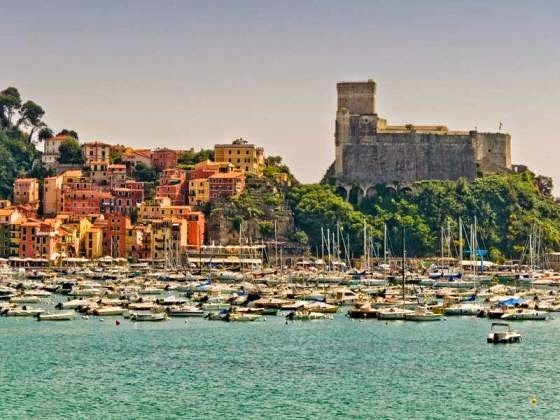 Visitors to this district will be fascinated by the beauty of these five small villages, namely: Manarola, Riomaggiore, Corniglia, Vernazza and Monterosso al Mare." Seriously - how beautiful does it look there? It's stunning! Anywhere with pink houses and buildings is a place that I should be...obvs! The five small villages that combine Cinque Terre are rich in history. Monterosso al Mare was actually founded in AD 643! 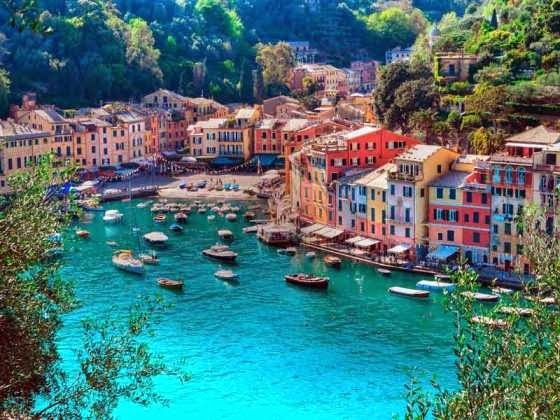 With hiking trails through vineyards and olive groves and coastal paths linking villages - Cinque Terre is a sight to be seen and I'm hoping to see it come October!